"The Guest" is the first OCN drama series to air on Wednesdays and Thursdays. "The Guest" will be followed by "Quiz from God: Reboot" on November 14, 2018. Ja Apr 18 2019 11:11 am They are making a movie out of this??? Rann Mar 28 2019 12:14 pm Very much recommended! This is the best thriller drama ever! The chemistry and relationship of the 3 leads were very natural yet touching. Loved the 3 leads characters so much and the story are not boring at all (unlike most others kdrama so far). The most important thing, the 3 lead actors can act ! So this drama is so perfect, i cant wait for season 2! Imaa Mar 18 2019 10:25 am Cant wait for the movie! They are going to act together again and with the same PD too ? Ore-sama Feb 09 2019 2:31 pm Hwa-Pyung, Choi Yoon, Yukgwang, Gil-Young, Detective Goh..love their bromance & bickering ? dou Jan 09 2019 8:34 pm season 2 please!!!!!!!!!!!!!!!!!!!!! Amir Jan 02 2019 10:20 pm A really really good kdrama. Very creepy too. Way better than the English film 'The Nun (2018)'. A very satisfying ending, too. Superhero protagonist should look at these 3 leads's life whenever they want to brood about their suffering. haha. These three suffers, yet still stand steadfast in the face of Evil without becoming too emo. Day Dec 31 2018 4:05 am Looks like Harry Potter in Korean version lol But overall it was a really good drama!! Lola Dec 29 2018 3:06 pm This drama was amazing! I watched all episodes within two days. I was completely hooked. I loved the chemistry between the characters. They worked together very well. Aya Dec 15 2018 5:46 am This drama made me feel various emotions ?? Not that type of jumpscare in every scene but this is surely creepy and its story really got some sense! It teaches us a lesson in an unusual way that all humans indeed possess desires within theirselves that can turn them in something scary and it also shows that in times, we have friends we can rely on. I acutally can't believe that this drama can make me cry because of its horror genre but everything about Hwa Pyung is breaking my heart ?? kudos to the everyone who created this drama! Its really one of the best and unforgettable! Damn Park Il Do....that's gonna be the name which will always creep me out ?? and OMG Jung Eun Chae! Even though she acts really tough here.... she's really beautiful and when she cries...mah hart is breaking with her. I love the leads! Mario Dec 13 2018 9:17 am Im really satisfied watching this till the end. The last episode makes me cry, what a precious message i got!!! blablabla Dec 11 2018 9:38 am oh damn not sure how i feel about the last ep aka the ending............ just doenst feel too satsifying??? BUT no doubt the entire drama is a very good one. and def no regrets watching it!! Vivi Dec 08 2018 10:38 pm Season 2 please? Deevya Dec 05 2018 11:38 am Creepiest drama till date but the most interesting drama too ♥️? you can't stop watching it right from episode 1.. it hooks you onto it!! Just loved it ♥️ highly recommended... Only if you have a strong heart to handle creepy scenes! Now that I have completed watching it.. #Goodbye Sleepless nights! Eda Dec 02 2018 5:08 pm This drama is perfect. Korean people really don't know what they should watch :D Kim Jaewook you are a blessing. Perfection I could just rewatch only for him. Definetly a must watch! Noiha Nov 28 2018 6:44 pm I haven't watched a lot of K-Drama these days, but this is definitely one of the best I've watched. Kim Jaewook is great, but it's nothing surprising anymore. He's always that good and I love that he has chosen wide ranged roles, main character or side characters, and has consistently prove himself to be amazing. On the other hand, I'm happy to watch Jung Eunchae grows on screen. Not many people enjoyed Dr. Frost and drama-wise it wasn't the best drama esp compared to the amazing Webtoon. But Jung Eunchae was pretty good. I just hope she can explore more roles. Lastly, Kim Dongwook is just downright surprising. This is definitely his best acting project and I just hope that he got more and more interesting roles. Amazing. Just amazing. @san7 Nov 23 2018 1:54 am It's an OCN drama. OCN is a paid cable channel in contrast to KBS, MBC and SBS. OCN is even smaller than tvN. So the rating aggregrate is very high for an OCN drama. Final episode reached 4% in Nationwide AGB viewership rating share, which made it the 2nd most watched show that night. Remember cable TV shows rating aggregrate works differently to free networks. Also do NOT forget, that this show did NOT air during prime time. It was a late night show (11pm slot). And the viewership during that time is significantly smaller compared to viewership during prime time. Also in recent time, these channels have been packaging 11pm slot shows with more and more ads, so the programs go for longer than necessary so usually they lose out viewers as the episode moves on. So a peak of 4% is a huge achievement for a cable channel 11pm slot show. Madam S Nov 21 2018 10:20 am @San7 the ratings are considered high bcos it aired on pay TV which have smaller audiences compared to public/ free-to-air TV such as KBS, SBS, MBC etc. By the way, the “coffee prince” actors reunited after a long time (Kim Jae wook & Kim Dong Wook). Love them! @EmiE Nov 11 2018 9:56 am Same. Kim Dong Wook has that special characteristic, it's hard to not like him. I first noticed it in Along with the Gods 1, then the Concubine and now this. Very charismatic actor. Hope he keeps doing lead roles, he really suits it. Awesome...Deabak...Flawless acting from Kim Dong Wook....note worthy were his scenes in the hospital when he’s talking to his sleeping grampa..and when he was possessed by PID in the sea..
Kim Jae Wook.... no words needed..I’ve praised him enough already lols..
Jung Eun Chae....i love her here!!! She rocked her role as a detective...she’s NOT the damsel in distress....she’s a Badass cop who kicked some serious butts!!! The rest of the casts and crew....slow clap and standing ovation to you ??? EmiE Nov 08 2018 9:29 pm The first episode was so creepy I almost didn't continue but the 3 main cast had me giving it another try. After that I never missed a single hour. Kim Dong Wook really impressed me and he made me keep watching. The female lead Jung Eun-chae was perfect too and the of course Kim Jae Wook. 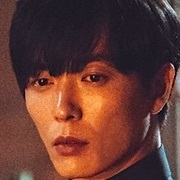 Kim Dong Wook really has something about him. I noticed it in Concubine and Maids. Very attractive guy he should keep acting more lead roles!! DW Nov 08 2018 8:08 am What an incredibly tense and well acted drama. Loved every single episode of it, and it had me on the edge of my seat throughout. Kim Dong Wook was incredible, I think it's his best performance to date. He was the soul of the series. Without him I don't think it might've been as good as it was. KIm Jae Wook and Jung Eun Chae were the heart of the show on the other hand, they both complimented Kim Dong Wook so well. While the narration was very good, the performances of the cast especially the three lead is what made the show so good. I'm hoping for a S2 so badly now. I know some things been unresolved like Park Hong Joo, so S2 would be very appropriate. And my hopes are high because it's an OCN drama and OCN loves their sequel. Hope they'll update us about a sequel soon, and hope all the cast return. I cannot envision the show without its wonderful cast. Cha Nov 07 2018 8:59 am Best Drama This 2018 For Me!!! From Save Me, I believe OCN will go far from creating horror-thriller dramas, and this drama is just..... amazing. Every episode is chilling.. I even cried in some episodes!!! Unbelievably dark and scary. You did a great job! I'll miss the bunch but never Sohn. Hoping for Season 2 though, we still have Park Hong Joo! Pink Obsessed Nov 06 2018 5:12 pm Best drama of the year. The 3 leads acted amazingly well & the scenario and cinematography were the best too <3 I want season 2 !!! …but will I be able to handle my selfless babies to suffer again??? erikaseo Nov 06 2018 6:56 am Great drama! Highly recommended!! ?? Andie Nov 05 2018 12:04 pm Season two please! We want Park hong joo to fall down. But honestly, the end was very satisfying. Hn Nov 04 2018 9:36 pm This drama kinda reminds me with supernatural, sam even having vision in some cases. It's a good drama though. blue Nov 04 2018 4:19 am super loved it !!! great cast and amazing drama. we appreciate your hardwork. RawHoney Nov 04 2018 12:54 am I think this is one of the best drama this year. The story is very interesting. The characters are very strong. I've been waiting for new episodes every week and sadly I had to part with it. I hope there will be more stories like this bcos there is no boring episodes even from the start to the last one. CKW Nov 03 2018 8:43 am What an entertaining drama. Prolly the best of 2018 so far. Loved the characters and their interaction. Has an open ending, so I'm very hopeful that there'll be a 2nd season some time in the future. It'd be brilliant. Handtheguestfan Nov 03 2018 7:31 am So sad this drama is ending. Loved everything abt the drama. Hoping for a season 2. And god I couldn't believe who park I'll do actually was at the end!!! scs Nov 03 2018 4:42 am hi. i liked this drama from the start and hoping for another season with the same actors. like voice drama, it has potential and fans support for another season, its such a Pity if they abandon this good story. Miro Bico Nov 03 2018 1:02 am This only proves that you don't need to have romance in the story to make it beautiful. This one is carefully written and brilliantly executed by the actors. I love every single episode. I wish to see more of this kind of drama, really tired of seeing cliché after cliché dramas. I'll give this a 10/10 rating for the every single character portrayal, especially the possessed characters and 9/10 for the storyline! Alean Nov 02 2018 4:40 pm One of the greatest korean horror drama ever made. I'm usually really picky about what I watch but The Guest was really amazing and I have nothing bad to say about it. The actors, plot, mystery, soundtrack, everything was good. If you are a fan of horror, want something unique and like korean drama you should watch The Guest cause it won't disappoint you. Andu Nov 02 2018 9:51 am Wow! What I can say , a great drama.heartbreaking...everything is here... A round of applause to everyone who made this drama possible. You did all a great job! Thank you so much! Kamsahamnda!???? We hope there is sequel with the same main actors? Zee Nov 02 2018 5:32 am I loved this drama!!! The End of episode 16 I love watching the cast and everyone that was part of the drama. It was an amazing drama. 10/10 Thumbs up to the crew and the actors!!! Raxxx Nov 02 2018 4:58 am I hope kim dong wook can get an award for this drama. Good job to the team for making this drama!!! We all enjoy your hard work!!! MR CRITIC Nov 02 2018 4:48 am The is story is very good. I do not expect this drama to be this good. the mystery who is Park ill do is very well play. I will rate this drama 9/10 1 more point the show do not get because of 2 plot hole. Minako Nov 02 2018 2:52 am Hidden boys love between Hwa Pyung and Mateo ? Amira Flores Nov 02 2018 2:45 am OCN is getting really good! Congratulations to the writers! The writing is solid, and the story indeed touches on one reality that all darkness starts in the human heart. But there is always a solution, a light which may be in a form of religion, belief in a higher being, and/or trust and love for another human being. Congratulations to the actors too. The friendship of the three is palpable. There is no annoying budding romance resulting in a love triangle, whatsoever. Who needs one when the antagonist is as powerful as Park Il Do? :) :) :) But of course not as powerful as the belief for one's ability to resist evil and love one's family members and friends. Antique Nov 01 2018 9:31 pm watching drama but feels like i watching a Movie, Damn !!! Two thumbs up. Thwe Nov 01 2018 1:47 pm This drama is great. I watch this coz of Kim Jae Uck but I like the actress and the bromance between two Kims. Hoping to see more. exo_chanbaek Nov 01 2018 2:13 am I swear I love this drama. It's just so sad that most of OCN's dramas don't get the attention they deserve by the korean public. Everything about The Guest is nearly perfect; the plotting of the story, the phenomenal acting by the possessed people and the main cast with the goosebumps of a lifetime! CJU Oct 29 2018 9:04 am Emily// I am a South Korean man. This drama is just fictional. There is no urban legend related to it. But, so many legends of spirits with a grudge exist, and Mudang(Korean shaman) is believed that he(or she) can pacify spirits. 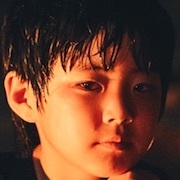 Many Koreans think that child of Mudang family may be a Mudang in the future. In this drama, Yoon Hwa-Pyung is a candidate of Mudang, as his ancestors, but don't have formal qualifications. Mg Oct 28 2018 11:31 am Amazing drama.no time for boring .kim jae wook's acting is great. Misha Oct 28 2018 7:20 am OCN never disappointed me. This is one of the best one yet! The chemistry of the three leads is awesome. The storyline is awesome. I watch the trailer because of Kim jae wook, didn't know its gonna be this good. Hopefully they survive till the end and end park il do. debi24 Oct 27 2018 11:28 am great drama.the b e s t , love all the cast, anyone feel the bromance between Yoon Hwa-Pyungand Choi Yoon	(mateo)? cant wait for the next ep..
fitri Oct 27 2018 5:18 am The Guest------ Everybody Put your hands up ????????????????????????????????? yulie Oct 26 2018 8:35 pm 10 thumbs up...... D . A . E . B . A . K !!!!!! Rider Oct 26 2018 8:32 am My second adventure into the Korean horror genre - other than Train to Busan. After so many of the usual Kdramas, I was looking for something different - and I like it - a detective crime, horror, murder mystery - it makes you think. As usual, the actors are good, the photography excellent, the special effects dated but reasonable for the story, the director and pacing good - and the characters neglecting to tell the other characters their little secrets at the right moment. But the suspense just dragged me right into the story. Can't wait to see the remaining episodes. tim Oct 24 2018 7:59 pm ah ha priest yang is park II do, his soul is already corrupted for a long time and he got possessed at the same time with priest choi and he probably surrender both body ad soul to the devil park II do, a total possession thats why he can go to church and such but he doesn't read the Bible, he has been playing the role of a priest in disguise so nobody suspect him. he probably will be on the run since he is already discovered so can't play the role of a good priest no more, four more episodes, can't wait. Look like we will have another horror drama from OCN, so "priest" will take over after "the player", instead of priest +detective + taxi driver, the new show would be priests + doctor, both shows kind of remind me of "the exorcist", looks like horror is the new thing now. Emily Oct 24 2018 5:01 pm Do any of you guys know if this is based off an urban legend in South Korea or if this is purely fictional with no historical context? Chasing Cars Oct 23 2018 11:45 pm What a good show. Loving every moment of it so far. I like the chemistry between the three leads so much. Shadow Oct 20 2018 8:15 am Park II Do is operating through Hong Joo. I believe the call she made towards the end of episode 12 where she said she needs to take care of something makes it clearer. It was after that call that someone's shadow walked into Kil Young senior's hospital room and possessed him so that he will kill Kil Young. If they can successfully exorcise Detective Ko by next episode he will tell us who is Park II Do and I think it's going to be Hong Joo. Ahn nae sang Oct 19 2018 5:26 pm From the get go it is soooo evident that's Ahn nae sang is park il do. Writers have to give a better twist than that. Anna Man Oct 19 2018 8:06 am Park il do is the grandfather.. the body has to die in order to transfer his spirit into HP body.. it was grandpa that call HP father from the church.. grandpa has been raising HP well because he wants the body after the lady shaman seal wears off Park il do has instruct congresswoman to meet priest yang so that they will suspect priest yang.. dont you feel weird congresswoman wait a few seconds before proceeding towards the tunnel? Seems she knows shes been followed by the policewoman..
Kim Jae Wook fan Oct 19 2018 3:16 am It is becoming more clearer now that Priest Yang could be Park II Do. tim Oct 18 2018 8:31 pm now I'm sure park II do is priest kang, he was possessed the first time he met Pyung, his mind is already corrupted a long time a go for him to get possessed. After seeing the congresswoman got chicken out and went to see priest kang. park II do took over his body and soul thats why he can go to church like a normal person, when Pyung was young and being possessed by park II do and the hold point of park II do trying to possess Pyung because of his power to see ghost but his family performed an exorcism which suppressed his power so park II do left his body and possessed priest kang, he then lying in wait for the day that Pyung regain his power to see ghost and plans to possess Pyung again, park II do targeted Pyung all this time. emma Oct 18 2018 6:59 pm I think that park il do is priest yang, and he was waiting for the spell that the chaman did to hwa pyung to go back to his body. but it's kind of hard for him to that when mateo and that cop is arround; that' why he's trying to get rid of them. he want to kill the cop and make mateo weak so he can't send him back to hell. Jae Oct 18 2018 10:54 am If Park Il Do is inside Yoon Hwa Pyung or trying to possess him, the spirits won't try to kill him. They try to make YHP stop chasing after Park Il Do, maybe because he has the power to stop him. Saying that everyone around him will die, maybe to make others leave him. Because they can be the key for YHP to release his power. Well, just my guess. tim Oct 17 2018 9:30 pm this is getting complicated, but in a good way, make me wonder who the real park II do, one thing for sure is that park II do and the congresswoman are blood related, so park II do is her great uncle, and he has been helping her probably because they are the same, they have the same personality and both are killers. 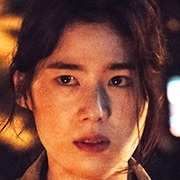 If park II do is Yoon Hwa-Pyung all along then that would be the biggest twist in this drama, with him seeing things whenever someone being possessed made me wonder if he really is park II do and park II do has been inside of him since he was young which allow pyung to see what actually happening when someone being possess. can't wait for next episode, I need to know what is happening. I don't thing there will be any romance between the three characters and hope there won't be any, a drama can be good without any romance and this one should be a non-romance drama. Angel Oct 13 2018 12:48 am Out of all the ongoing shows, I felt Guest is the amazing drama, with horror genre! I'm completed hooked with this drama! I'm currently watching the smile left behind your eyes following with the beauty inside, but I vote 10/10 for guest since it doesn't make you bored at any scene, you will try to anticipate what's next! I already came to know about the spoiler in the smile left behind your eyes, and it's completely sad and bitter truth, I want to discontinue but I couldn't! Let's hope atleast the script of ending would be different from Japanese version and the beauty inside is also one amazing drama! You'll completely fall in love with that drama! But most of all, I loveddddd The Guest! Waiting for next episodes! jae Oct 11 2018 12:35 am @diaxx wow you guess it correctly. diaxx Oct 09 2018 11:38 pm Whoo!! This drama is really awesome! They’re so many suspects…who really Park II Do is? That congresswoman has a mean personality. I think she is related to Park II Do. 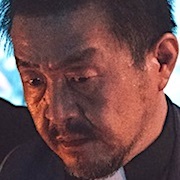 Then, Priest Yang who has a connection with the congresswoman, and said about a total possession-that once possessed in a long time, you can live a normal life. What if he is hiding his true colors? And in the end, become possessed by the evil spirit—Park II Do. Or they have been searching for Park II Do the whole time, then turns out that it is Hwa-Pyung himself. So many twist…and I love how twisted the story is :D OCN never failed to surprised me or the viewers—great story plot. All Oct 07 2018 11:19 pm It almost 11 yrs after coffee prince for both main hero,glad to see them together again in 1 drama, ? Andre Oct 05 2018 12:16 pm Ommo, im curious about Park II Do possesed who? I think the twist is PRIEST YANG!! I know OCN always make plot twist about the real murderer bcause The Tunnel make Doctor as Suspect murderer!! Great job OCN !! Pls watch this drama why people always love drama about romance. This thriller-horror drama makes you thinking like detective!! Huali Oct 04 2018 9:31 pm Awesome!!! This is the best among all the dramas that are airing at the same time now for me. It is the first drama that makes me forget to breath while watching. To me, i’ll rate it 10/10. tim Oct 03 2018 11:09 pm well after watching episode 7 I believe that both priest yang and the congresswoman are with sketchy, by theory if the congresswoman is park ii do then she was possessed after she killed the girls and buried tho body, that is when she met priest Choi's older brother and being possessed during that time, so she wasn't possessed before because priest Choi's bother is being possessed at he time, so when she killed the girl she wasn't possessed by park ii do, then how come the school guard saw park ii do at that time. since she has an evil personality so she can be possessed by other evil spirits or she made a deal the the evil park ii do. 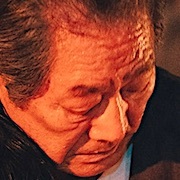 priest yang is another candidate for park ii do possession, he seem very fishy, according to what he said, when a body is possessed completely which mean the devil took control over the body and the soul, in cases like that the person who was fully possessed can go to church and so on, so if he was possessed completely then he can still function normally and live normal without being suspect. even though park ii do can possesses many people but he will always go back to the body that most compatible to him and the one he has total control. I think I like Choi Yoon the most in this drama because he always so calm and rational, while Yoon Hwa-Pyung and king kil-young are hot tempered so sometimes these to can get on my nerves, the fact that he came to see the congresswoman with a knife and intended to kill her with a bunch of bodyguards around show how hot tempered he is, he has no plan and doesn't think it through at all. they are dealing with evil spirit and a politician at that, so they need to plan through and through and execute it wisely. Bali Sep 30 2018 10:26 pm Does anyone know the songs that appear in the series ?? Bad Samaritan and the Bone Marrow of Secrets. Sep 30 2018 1:57 am “Hand: The Guest”, a witty and well-crafted love letter to horror tropes, is a barnstormer of an entertainment, a fairground ride with dodgy brakes. This world is weirdly familiar and yet alien. It’s also darn scary, bone-chillingly told and beautifully made. Emma Sep 28 2018 7:01 pm I highly recommend this drama, you won't regret watching it. Ginger Crunch Sep 28 2018 2:53 am Whoa! Epic n just the best drama going right now! Episode 6 was gut wrenching and this drama keeps layering the suspense and intensity; every minute without a moments pause. I don’t know how many times I’ve had to remember to keep breathing whilst watching. Jung Eun Chae is nailing her character as far as I’m concerned and I don’t see ‘cute’ in her characterisation at all. She’s just very hardened and stoic in nature and I empathise with her. In fact I got a tad bit emotional and she’d a few tears in the flashbacks so she must be doing something right to move me emotionally. Kim Jae Wook and Kim Dong Wook compliment each other in their acting styles so yep this is working out so well it’s getting better each episode. Special mention to all the ‘possessed’ actors I’m seriously freaking out watching them and when Kim Dong Wook says ‘Don’t look at their eyes!’ I listen and follow suit. OCN you did it again! Well done on scoring The Guest! pepper Sep 27 2018 8:31 pm remember in episode 4, when hwa pyung didn't realize that a guy being possessed.. Park Il do said the guy allowed being possessed.. and i think Priest Yang is a heir of Park Il Do..
Kimb Sep 27 2018 7:43 pm Does anyone knows the song in episode 6 at +/- 40:40 - 43:10? tim Sep 26 2018 9:34 pm something is very fishy about that priest yang's organization, whoever involved with his church got possessed, I'm sure the politician lady is possessed too, the man in the wheelchair and the girl in episode 5, they are all members of his church (the helping hands), i think priest yang is possessed by park II do, also priest Choi's body is buried under ground even though he committed suicide, someone must have buried him after he died, I think that priest yang got possessed and buried choi. Park II do is not the only evil spirit possessing people but there are more, the one that got possess by park II do always drink a lot of water, but the one got possess by other evil spirits don't drink water, it's like those evil spirits are park II do underling. I do agree with mimoo that the character kang kil young doesn't suite Jung eun chae, just my personal feeling, wonder how its turn out if it is a male character instead of female, she is a very good actress, its just the role doesn't suite her. mimoo Sep 25 2018 10:22 pm i love the drama, but i personally think that jung eun chae doesnt suit the character, she is too cute to be fierce. Marny Rich769 Sep 25 2018 9:47 pm So daebakk! ..it just make me always cant wait for the next episode. Staying in the village now while watching the KDRAMA especially produced by OCN is really make me relax and chillaxx..SarangHae from Kudat, Sabah. North Borneo gaiss. Do kang woo Sep 24 2018 7:12 am I really like drama from ocn. And I recommend this drama❤️❤️❤️?????? The Wicked Wizard of the Worst. Sep 22 2018 3:06 pm The Guest is a professional jitters-fest, made with deep-seated esteem for the genre rather than cynicism about the ratings sure thing. Here, Kim Hong-Sun plays with both lighting, composition and suspense, framing shots in such a way that we’re constantly searching the shadows for hints of movement, while drawing out scenes for maximum tension. If anything can happen (and, trust me, it does), then there’s never a way of predicting where the next scare will come from. And for a genre that oftentimes feels threadbare and hopelessly predictable, this cannot be commended enough. If some light deja vu is the price horror fans must pay for a mainstream offering this spine-tingling, most will still come away feeling spooked and satisfied. TJ Sep 21 2018 2:20 pm So good!!!!! Finally a real scary kdrama. I love the sound effects and the acting is great. Keep it up!! may Sep 21 2018 8:43 am seriously amazing , its creepy and scary , dont watch at night ! Misha Sep 19 2018 8:25 am Loved the first two episodes!!! I'm a fan of horror genre, and horror fans out there shouldn't miss this! It is must watch! Both the episodes were super interesting, waiting for the next episode(this is the reason why I don't like to watch ongoing episodes, I'll die with suspense ? The cast acting so real! Jac Sep 16 2018 10:33 pm @wayer I agree with you September must be the spooky months because all of the horror dramas..I'm currently watching all the 3 dramas..Lovely Horribly,The Ghost Detective and this drama The Guest..and this drama is the top of all three..it's way too horror and dark..if you don't a have a strong heart please don't watch this during the night..btw OCN dramas never disappoint ..from The Voice 1&2,Black,Tunnel and many more..
Miro Bico Sep 16 2018 1:31 pm The Guest makes other kdrama horror inspired, a big joke! This is the real thing, not your typical half-baked horror drama. Everyone in this drama are doing an excellent job especially the "possessed" actors. Highly recommended!!! Nayeil Sep 15 2018 6:09 pm Such a good story, about a powerful demons with only have one eyes.. we called “dajjal”..manipulate people with he power,great storyline OCN,OCN never been disappointed chanel to follow..
Wayer Sep 15 2018 12:32 am August and September must be the spooky months! Lovely Horribly, Ghost Detective and now The Guest. Muchos horror.. and Kim Jae Wook is back! Ginger Crunch Sep 14 2018 10:00 pm Sheer Brilliance!!! You know when a K drama has you hooked especially when it’s on OCN and for an hour you’re unable to breathe until the credits roll. There is nothing to find fault with and it ain’t for the faint hearted. From the main cast to supporting actors this is why ‘The Guest’ is the pen ultimate horror/thriller/mystery drama that is leading the way - sorry to ‘Lovely Horibly’ and ‘The Ghost Detective’ but OCN ‘The Guest’ is where it’s at. Enjoy ? Jenlovesyoo Sep 14 2018 3:54 pm Awesome drama! Though it brought me chills down the spine! Haha But nevertheless it’s a very good start! We’ll keep following these one! kona Sep 14 2018 8:53 am Great and from main and supporting cast...there's no time to rest watching from early ep...look forward for next eps and duel with park il do!! Kim Jae Wook fan Sep 14 2018 7:28 am Daebak, amazing, awesome, fantastic and will definitely go down as one of 2018's best drama. Kim Jae Wook never disappoints. He always brings his A-game in any drama. Kim Jae Wool fan Sep 14 2018 7:16 am One word for this drama, AMAZING! yhn Sep 14 2018 2:46 am 2 thumbs for this drama ?????? Haz Sep 14 2018 2:04 am Just watched the episode 1 & 2, now I can't wait for the following episodes!!! It's damn good & interesting to see different religion does exorcism. For once I thought I was watching a movie because the storyline, special effects, sound effects etc: is different from the usual supernatural/horror dramas. GREAT WORK to the cast & crew of Hand:The Guest! tim Sep 13 2018 9:51 pm look like this one is good, OCN never disappointed, this is just too creepy, kind of like the exorcist Korean style, still good though. This is bad for the heart watching at 2 in the morning, guys don't watch this too late into the night, won't be able to sleep. this is so thrilling right now that I just can't wait for next week, I want episode 3 now. 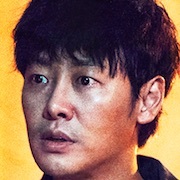 I think this is the scariest drama from OCN so far, save me is more like a cult kind of drama but this one is just straight out horror, for though who don't like horror, this is not for you, if you couldn't get pass save me then this will be tough since it is much scarier, but give it a try, I like it. Yui Sep 13 2018 11:44 am Omg, just finished the first episode, and i must say, it's hella scary! Still, the cinematography's really good! Can't wait for more episodes! caspercholic Sep 13 2018 7:30 am Had watched 1st episode (even though i did thought about drop in the middle,but however forced myself to finish....)....story so far great, but scary...if you're fans of ghost story or exorcism story...probably can suggest you to watch. Dddddddd Sep 13 2018 3:55 am I watch this drama but this one is too scary. I can't even finished the first episode ._. Michelle Sep 02 2018 7:32 pm I see Kim Jae-Wook's name in a drama..I'm in. No questions ask! lmao! Excited for this one! yahoooo! Kdrama-fan Aug 25 2018 4:45 pm Typical OCN Drama. Dark, Mysterious, Gritty. Sometimes I cant finish this type of drama, just like children of Lesser God, Save Me. But I will try this one. windymae Aug 25 2018 1:42 am OCN really love Jung EunChae hahahaha another lead role yaaassss!!!! Cynical about LOVE. Aug 22 2018 1:50 pm It gave me goosebumps... ...just to think about it. Ashie Aug 16 2018 6:15 am This is like the anime i've seen before, Ghost hunt i really love that anime .. im going to watch this!! Yass!! Empress A Aug 04 2018 8:09 am Love me some OCN dramas ? 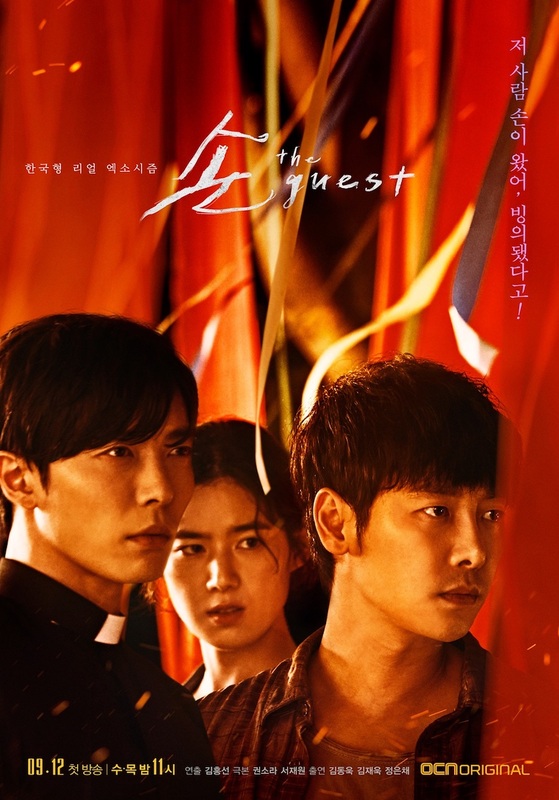 ngs Jul 08 2018 10:31 am "The Guest" is the first OCN drama series to air on Wednesdays and Thursdays. The cast are great and the strory also interesting..
... Jun 12 2018 5:29 pm cant waittt ❤ fighting jaewook oppa! Lori May 24 2018 9:41 am @CKW, Mirror of the witch on jtbc is horror. They deal with shaman too. CKW May 24 2018 2:44 am Oooh nice premise Wonder if this is a horror thriller or a horror comedy though. I don't see the genre horror working in dramas in Korean industry unless horror comedy. Lori May 23 2018 9:46 am I'm still not over kim jae wook as a killer in voice, and now this!!! nadkorea889 May 23 2018 8:59 am yay finally nara have a lead role.. love her in return..
krazy4kdrama May 01 2018 5:46 pm Coffee princes reunion!!! Maninder Kaur Apr 24 2018 2:13 pm Yay.. please please accept the role oppa! He is gonna be male lead finally. I know im asking for too much but I jinjjayo wants to see in a romantic role... please any writer nim, cast him in a some good romance role this year or it will be again too much to ask if in this drama we can see a tiny winy smallest love relationship of him with a good actress!! Aah im dreaming so much to see him.